The Philadelphia Faith and Freedom Curriculum and Teacher’s Guide was developed by the Providence Forum to accompany our Faith and Freedom Guide. It is intended for a range of school age children but best suited for 4th – 7th grades. 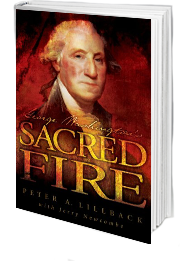 The goal of this resource is to highlight the significance of the religious history that abounds throughout Philadelphia as well as their impact on the very foundations of America. The lessons are ordered chronologically ranging from the landing of Columbus to the present day and are aligned with the Common Core Standards. Each lesson also has suggested links for additional study. The lessons identify the sites and pages from the Guide that correspond with the lesson’s activities at the top of each page. For all lessons there are objectives, guiding questions, suggested vocabulary and two activities-one for lower grade levels and one for higher grade levels. Each of the activities focuses on a theme found within the corresponding readings. The suggested vocabulary was also selected from the corresponding readings in the Guide. The guide includes the Curriculum, a Philadelphia Guide, and a Guide DVD.